A financial services company has been ordered not to reuse an advert in which it tried to persuade people to take out a loan, in case they wanted to stockpile food because of Brexit. Cash On Go, trading as Peachy.co.uk, sent out an email saying, "it's a good idea to have a little stockpile ready." The Advertising Standards Authority upheld a complaint from a reader who said the advert was irresponsible. Peachy said it referred to Brexit light-heartedly and to make it topical. It added that it wanted to reflect some situations where people may find it hard to prepare fully for unexpected scenarios. The advert talked about Brexit, saying that some people had said it "could affect the amount of food available". It went on to say that while the company did not want to believe this claim, it was worth consumers buying some extra food because "that way, you're always prepared for the worst". 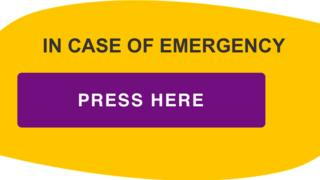 It also offered a promotional discount for a loan if readers used a button saying: "In case of emergency, press here." The ASA said that the advert was likely to put emotional pressure on people and added: "We considered that the ad's references to possible food shortages and the stockpiling of food were likely to play on some people's concerns regarding Brexit, including financially vulnerable consumers who were already struggling or worrying about their financial situation." The ASA ruled that the advert must not appear again in its current form. "We told Peachy to ensure future ads did not send an irresponsible message about debt to readers," it added. In response, Peachy said it would abide by the ruling not to use the advert any more and would ensure it "considered public sensitivities more thoroughly".